I started Bundleofbooks in April, so it’s not quite a year of reading – but oh! what books I have read in the last nine months! I have re-read old favourites such as Daphne Du Maurier’s Jamaica Inn and Rebecca and discovered some incredible authors; Margaret Atwood and Isabel Allende. I’ve finally got around to reading books that have been on my To Read list for years; Brick Lane, Naples ’44 and Sense and Sensibility. I’ve had a giggle with Bill Bryson and Douglas Adams and suffered moments of depression with Cormac McCarthy and Graham Greene. Through all the delights, tears, fears, laughs and yawns I have had a wonderful year of reading! 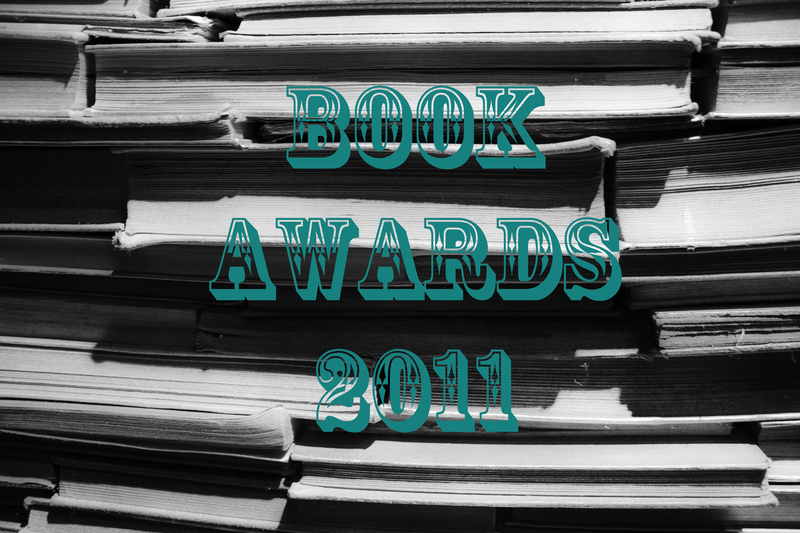 So without further ado, I would like to welcome you to the Book Awards – 2011 where I have chosen the best (and worst) books from my 2011 reading list! This book had me laughing out loud on the bus (and getting some odd looks). This crazy, drug fuelled trip is told in a disjointed, rambling stream of consciousness and is absolutely brilliant. Not only are the bizarre happenings hilarious, the book has a deeper undertone of the disillusion of a generation of Americans in the late 60s. 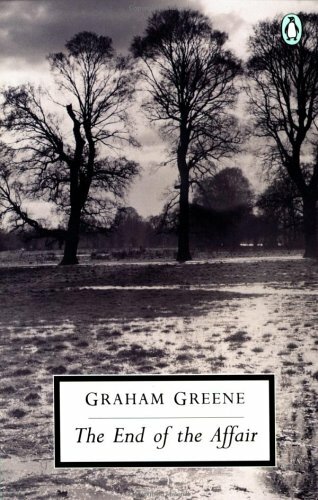 I love Graham Greene’s writing and have always been pleasantly surprised with the variety of his work. The End of the Affair is a moving exploration of the emotions that can be created by the end of love. It is not a normal love story, but it is honest and makes the reader think. Well, it may not be the nicest award, but it is important! I’ve been disappointed with a few books this year, but The Girl with the Dragon Tattoo is the worst. Maybe it’s because of the huge hype surrounding the Millennium Series, maybe it’s because I was expecting something so much better but probably it is just that it is a bad book. I know that many people will disagree, but it was slow, unnecessarily long and without a decent twist. Avoid! I love this book. I read it when I was younger and had to lock myself away for two days so that I could read without interruptions. This time around, even though I knew the ending, I still could not put Jamaica Inn down. The mounting tension, the chills running down my spine, it’s exactly what you want from an Autumn/Winter read set in the miserable, lonely Cornish moors. Without a doubt, Margaret Atwood is my new favourite author. I have only read three of her books, and been completely blown away by two of them. The Blind Assassin is beautifully written. Three narratives are woven together to create a complex, but readable story. It is as close to perfection that I have got from a book for a very long time. If there is one book that you must read in 2012 – Make it The Blind Assassin! Those are my choices, but what would you choose? Do you think I was too harsh on Stieg Larrson? Do you think Margaret Atwood is overrated? Let me know what your funniest, scariest or most depressing book of the year was! And of course, which books you think are best to avoid! I had a similar reaction to “The Girl With the Dragon Tattoo”–we’re definitely in the minority. I really loathed it. On the other hand, I also very much enjoyed “The Blind Assassin.” Based on our similar opinions (and my past enjoyment of Daphne Du Maurier, I’ll definitely have to add “Jamaica Inn” to my Must Read list. We obviously have similar tastes! I’m glad someone else agrees with me about The Girl with the Dragon Tattoo! Enjoy Jamaica Inn, it is definitely worth reading! I’m ashamed to say I haven’t read any of these, apart from Fear and Loathing in Los Vegas. I will now add the one’s you recommended to my to-read pile. Rebecca is already there, I have been meaning to read it for such a long while; I love the film so much. The only problem is, having seen the film, the book may not offer many surprises. Thanks for the comment! I’ve also seen the film of Rebecca and it was good, but as is normally the case, the book is so much better! I still think you will be able to appreciate the building tension. And if I remember correctly, there are a few differences! This is a great idea, I am totally going to make my own list! Thanks! You should, it’s a great way to round up the reading year and refresh your memory! I’d be interested to see what’s on your list. PS. Love your post about Magic. It’s exactly how I feel about reading! Rebecca was great; and your review of Jamaica Inn makes me want to add it to my TBR list right away! Yes, The Girl with the Dragon Tattoo was pretty graphic! You should definitely read Jamaica Inn, it’s brilliant! Although I generally love what Margaret Atwood has to offer The Blind Assassin didn’t blow me away. HOWEVER, I am totally with you on Stieg Larsson. It isn’t ordinarily my genre anyway but I was sick of people harping on about something I hadn’t read. It was quite yawnsome and, needless to say, I haven’t yet made it to the sequels. Haha, oh yeah… I’ll get on to that!